1) The song is about a brothel in New Orleans. "The House Of The Rising Sun" was named after Madame Marianne LeSoleil Levant (which means "Rising Sun" in French) and was open for business from 1862 (occupation by Union troops) until 1874, when it was closed due to complaints by neighbors. It was located at 826-830 St. Louis St.
2) It's about a women's prison in New Orleans called the Orleans Parish women's prison, which had an entrance gate adorned with rising sun artwork. This would explain the "ball and chain" lyrics in the song. The melody is a traditional English ballad, but the song became popular as an African-American folk song. All began in Middlesboro, Kentucky when a music historian by the name of Alan Lomax arrived at the doorstep of a poor miner’s daughter by the name of Georgia Turner. Lomax was making recordings of popular folk songs sung by ordinary people in their natural environments for the Library of Congress and his travels brought him to little Georgia who was just 16, he hulked out his cumbersome presto reproducer recording machine and she sang her favourite sad song for him, an old bluesy folk tune about living a life of sin called 'Rising Son Blues'. It had been about for years but never committed to tape before, indeed Lomax believed it dated back to 1600’s England while others dated it to the American Civil war, either way history had been made! The song was recorded in 1937, from there the legendary Lomax put the song in a songbook and it spread like wildfire through the folk music scene on the east coast with versions springing up in the 1940’s from the likes of 'Pete Seeger', 'Woody Guthrie' and bluesman 'Josh White'. Not bad for a song warning about the perils of prostitution eh? 'The House Of The Rising Sun' was traditionally a euphemism for a bordello in English circles, and the song is really little more than a tale of woe concerning a woman’s decline into the oldest profession in the world. Amazing that no one really picked up on that and censored the whole thing from the start! With every passing year the songs fame grew until 'Bob Dylan' covered it on his debut album (calling it 'House Of The Rising Sun') and in 1964 a band of R&B reprobates from Newcastle in the north east of England called 'The Animals' came to record it and the face of modern music was changed for ever. The song ranked #122 on Rolling Stone magazine's list of "500 Greatest Songs of All Time". We would like to present to you 5 cover versions of the song by '70s. 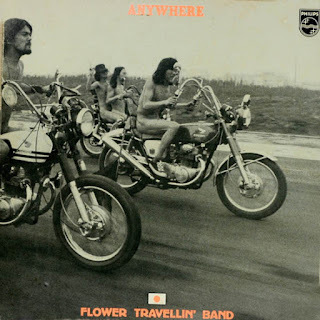 'Anywhere' is the debut album by Japanese Rock group 'Flower Travellin' Band' released in 1970 by Polydor Records and produced by Yuya Uchida. The only original composition that is an original band one on here is "Anywhere" which is short a soulful blues harp piece that appears both on the beginning and the end, while it's not quite clear what the lyrics are actually saying as with other parts of the album it still shows the great performance with powerful amount of lung capacity matched with chops and bold playing. The slightly progressive psychedelic element is quite potent and gracefully astute with a band picking up on everything so well and providing lengthy psych jam tracks. 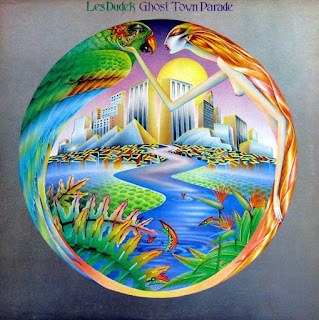 Four long cover versions make the material 'Louisiana Blues' by 'Muddy Waters', 'Black Sabbath' by 'Black Sabbath', 'House Of The Rising Sun' and '21st Century Schizoid Man' by 'King Crimson'. 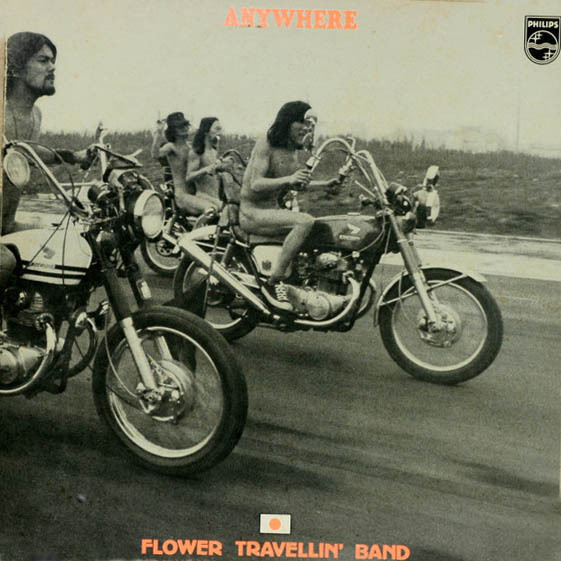 The album cover (Easy Rider-style), yet again features a daring and provocative cover with full-blown bravado especially during the time they did it and in their own more conservative country Japan, setting it as an iconic memorable cover of an album that is actually pretty promising. 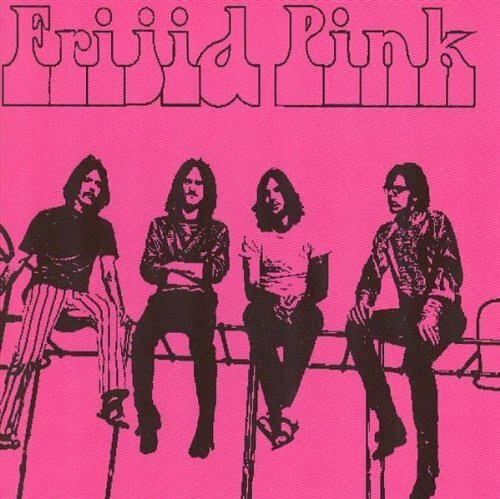 'Frijid Pink' was one of the most successful of the many hard rock bands emanating from Detroit in the late 60’s and early 70’s. 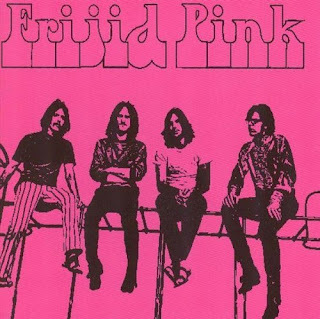 In 1970 they released their debut album 'Frijid Pink'. 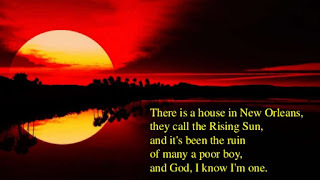 They were the first rock group from the Motor City to chart a Top Ten single, 1970’s “House Of The Rising Sun”, and the first to have their self-titled debut album crack the Top Twenty on Billboard’s Top Albums chart. 'Tell Me Why', backed with 'Cryin’ Shame', was the first single to be released in advance of the album. Issued in 1969, it was a blast of grungy Motor City hard rock that fit right in with the recent releases by the 'MC5' and 'The Stooges'. It was popular in Detroit and north along the I-75 corridor, but the single might have been a little too raw to gain much airplay outside of the state. 'Electric Food' was a German Heavy Prog Rock band which included all "Lucifer's Friend" musicians except John Lawton. 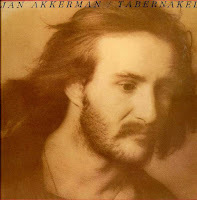 Who the actual band was is a mystery, as no musician credits are given, except that the debut is from the time of 'Asterix's' first single and features George "Monroe" Mavros on vocals. 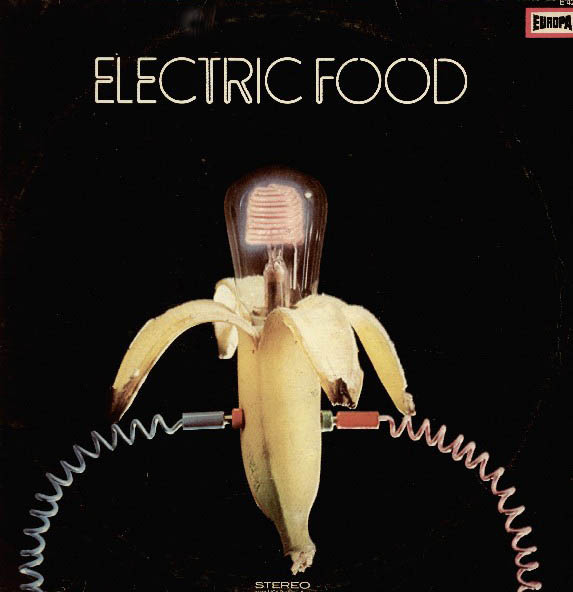 In 1970 they released their debut album 'Electric Food' and had strong influences from Led Zeppelin, Uriah Heep, and Spooky Tooth. Their own versions of such classics as "Whole Lotta Love","House Of The Rising Sun" and "Let's Work Together" are worth to be mentioned too. 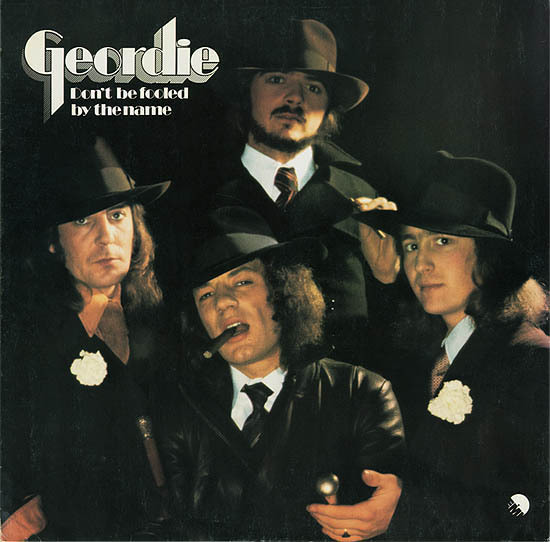 'Don't Be Fooled By The Name' is the second studio album by 'Geordie'. The album was a bit of a letdown after their debut, which merged the swagger of Hard Rock with the tuneful bombast of blue-collar Glam acts typified by 'Slade'. In some respects, 'Don't Be Fooled By The Name' suggests 'Geordie' were aiming for something a bit more mature and adventurous than they achieved on their debut, and they didn't entirely fail -- they reveal a tough, Bluesy side on their cover of "House Of The Rising Sun," a number that suits 'Brian Johnson's' industrial-strength pipes, and the "St. James Infirmary" lift in opening cut "Goin' Down" leans toward the same direction. 'Mercenary Man' boasts an undercurrent of sociopolitical commentary that wasn't normally the band's stock in trade, and "Ten Feet Tall"'s dynamics and guitar work (the latter courtesy of group leader Vic Malcolm) suggests 'Geordie' had been studying their early Led Zeppelin albums.